There are a LOT of projects going on in the Su Lab–so many, that it’s hard to keep track of them all. And additional summaries are expected to come soon. The year-end summary for Mark2Cure will be posted tomorrow, and the BioGPS 2016 summary will be shared early in January. 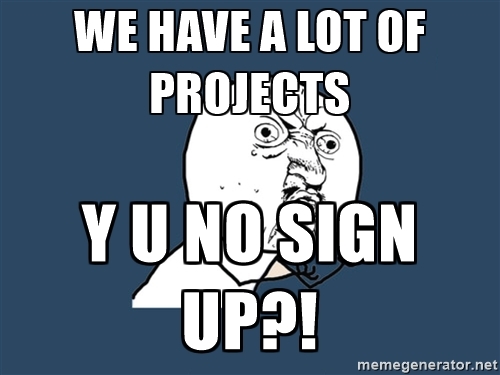 But those are our major projects. Our lab has its fair share of collaborative projects, newer & not-yet-as-popular research tools. As with any academic research lab, we’ve also had our fair share of member changes in 2016. Member Upgrade 2016.12.01 – Greg Stupp has been promoted from postdoctoral research associate to staff scientist! Congratulations, Greg! Looking forward to how these projects and more develop in 2017. If you have time, try them out and let us know what you think! Feedback is a crucial part of the improvement process.